The Poetry of Puppetry! 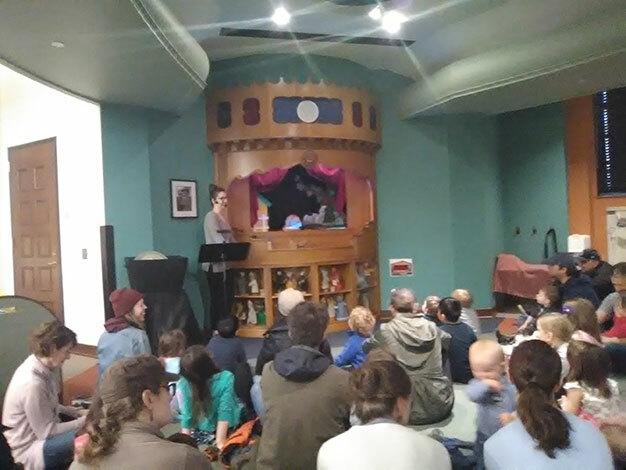 A roomful of enrapt children listened to the poetry of Langston Hughes, Jack Prelutsky, Shel Silverstein, and many more poets read by a caterpillar, a polar bear in a refrigerator, a talking wall, a mail snail (oh, the delight of receiving mail), and other characters brought to life by the Loki Puppet Players at St. Paul’s Central Library. I am grateful for the gifts that talented librarian Kim Faurot and her fellow puppeteers share with all of us. They’re performing this show three more times in April. If you’re near St. Paul, you’ll want to go (and maybe bring a child or two with you).